Rich with psychological twists, powerful moments of hope, despair, and confusion, and a landscape very much a character unto itself, The One Memory of Flora Banks is an emotionally compelling and immersive read that celebrates the resilience of the human spirit, the depths of the human heart, and the power of the human mind. I just want to say a huge thanks to the people from Chapters Indigo for sending me a copy in exchange for an honest review!! This book definitely had a lot of things happening all at once and I was not expecting the ending to be as it was! So for this, you are entering a world of a teen who forgets her life pretty fast. Flora doesn't seem to have any memory saved of her current life, except for this kiss, and before she turned ten. I will admit that for a good half of the book, I found it to be fairly slow, and although I know that a lot of the repetition had to do with her mind working overtime to remember a lot of things, it sometimes got in the way of the actual story. Nonetheless it was still a very interesting story to read! 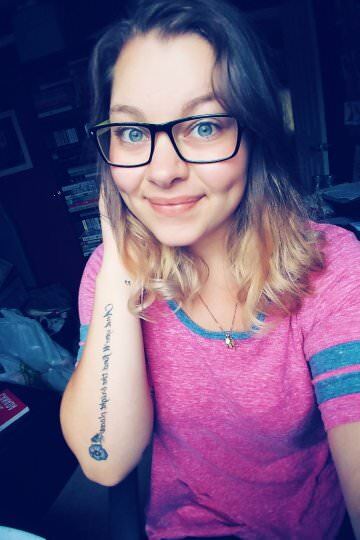 From the beginning all the way to the end, Flora is constantly having to be brave, as she discovers new parts of her life she didn't remember having, and new facts that she didn't even know that would hugely impact her life. For me, I did feel really drawn to Flora and her story, and as you read more about her journey and uncover bit by bit of her story, you almost feel like you're in the novel itself. There were certain parts where I actually felt like I was being convinced that this (thing) was really it, when it turned out to be something else. I was second guessing myself and my own mind playing games on me as I tried to decipher what was real and what wasn't. I think that's why this novel can't get out of my mind, is because it's opening up to how our brains work and how sometimes the simplest of things can alter what we perceive to be true. Although the journey for Flora kind of ends too short (and I really would like to know what happens next!) I think that the letter that she had read at the very end was so eye opening, and touched a lot of things that I was still wondering about. The friendships that Flora was able to easily make was something truly amazing. It shows that there aren't all bad people in the world, and even if they don't know your "story" they are still willing to make sure you're okay. "The person you are now, with all your imperfections and all your difficulties..."
I love how there were so many quotable moments that talked about how it really doesn't matter what people think of you, as long as you know who you are! "I am in a beautiful place and a wonderful thing is happening." "Things do not make sense. There are always things that do not make sense." "That is how my journey will begin. One thing at a time." Although I will say that I was truthfully rooting for the outcome Flora was looking for, but clearly things have taken multiple turns in her life. I was really drawn to the adventure she took into finding herself and finally figuring out what she wanted in life, and how she knew where she wanted to take things. 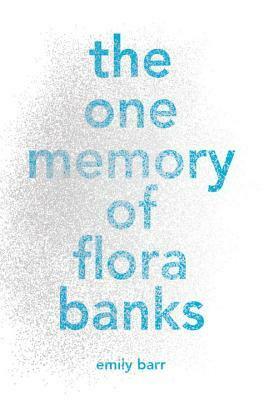 Overall I really enjoyed reading The One Memory Of Flora Banks. I personally felt like there were some things that could have been changed to make it a little less repetitive and a little more fast paced, but I was really intrigued with the story and Flora's life and how this could be anyone you know. That's all for my review! I hope you enjoyed it and definitely check it out!